APPLE HAS CONFIRMED that all Mac and iOS devices are affected by the Meltdown and Spectre security flaws, that experts say could allow hackers to access sensitive data. The Spectre and Meltdown vulnerabilities affect computer chips from Intel, AMD and ARM. The flaws came to light earlier this week after researchers discovered the security hole which could allow privately stored data in computers and networks to be leaked. 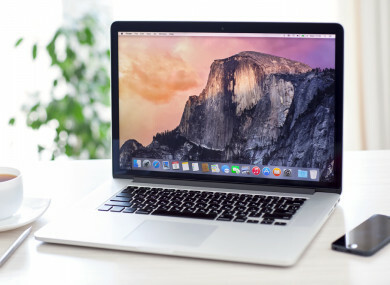 Apple was one of the last major computer firms left to comment on the newly discovered flaw, although it was already widely believed that its devices could be affected. The company confirmed that its devices have, in fact, been affected in a blog post today. “All Mac systems and iOS devices are affected, but there are no known exploits impacting customers at this time,” Apple said. The company said that since exploiting many of these issues requires a malicious app to be loaded onto the Mac or iOS device, people are being asked to only download software from trusted sources such as the App Store. Apple said that it has already released patches to fight against the Meltdown flaw in iOS 11.2, macOS 10.13.2, and tvOS 11.2. It confirmed that Apple Watches have not been affected by Meltdown. Further mitigations will be released in the coming days in Apple’s Safari to help defend against Spectre. It was Google researchers who first sparked the concerns. As soon as the firm made the discovery, it released its research days ahead of schedule and immediately acted to defend Google products. “We have updated our systems and affected projects to protect against this new type of attack. We also collaborated with hardware and software manufacturers across the industry to help protect their users and the broader web,” Google said in a security blog. People are being urged to check their devices and update all necessary patches to protect themselves against Meltdown and Spectre. Brian Honan of BH Consulting said failing to install these patches will leave people at risk of hackers stealing information such as passwords from the memory of their computer. Speaking to TheJournal.ie, Honan said “there’s the potential that applying the patches could impact the performance of the machines”, noting that older machines or those already under a lot of pressure may be particularly affected. However, he said the pros of installing the patches outweigh the cons. Email “Apple confirms all Mac and iOS devices affected by Meltdown and Spectre security flaws”. Feedback on “Apple confirms all Mac and iOS devices affected by Meltdown and Spectre security flaws”.